Your daily scoop of what State of the Union is watching today, June 4, 2014. 1. Prisoner swap backlash. Questions and criticism are piling up for the Obama administration about the deal that freed U.S. Army Sgt. Bowe Bergdahl. The White House says it did not give Congress the required 30 days’ notice about swapping Bergdahl for five Taliban prisoners because it felt time was running out to get Bergdahl back. But several Republican lawmakers are angry about the deal itself and the Senate Intelligence Committee's Democratic chairwoman Dianne Feinstein is upset that her committee wasn't informed about the swap beforehand. "It comes with some surprise and dismay that the transfers went ahead with no consultation, totally not following the law and in an issue of this kind of concern to a committee that bears the oversight responsibility, I think you can see that we're very dismayed about it," Feinstein said. Sen. Lindsey Graham (R-SC), says the deal is paving the way for the President to close Guantanamo Bay. "It is not the best deal we could have gotten. It is the deal they wanted. I don't think there was any real effort – would you just take one? Would you just take two? I don't think they thought very hard to not release five because they are looking for ways to get rid of these people," said Graham. 2. Taliban video. The Taliban has released video showing Sgt. Bergdahl's release. It shows Bergdahl flanked by Taliban members and moving toward U.S. Special forces. Before Bergdahl is handed over, a Taliban fighter tells the Army sergeant, "Don't come back to Afghanistan. You will not make it back alive." 3. What Hillary Clinton thought. Former U.S. officials familiar with the Obama administration's early conversations about a prisoner swap said Secretary of State Hillary Clinton was wary about such a plan and pushed for a tougher deal. The officials said Clinton did not trust the Haqqani network holding Bergdahl, and was skeptical that Qatar could enforce an agreement or that it would lead to peace talks with the Taliban. But Clinton offered limited defense of the deal, saying it was one of the "hard choices" that a government official must make. 4. Questions about Bowe Bergdahl. As the 28-year-old undergoes treatment at a U.S. Army medical center in Germany, the circumstances under which he fell into the hands of the Taliban in 2009 remain murky. Some of his fellow soldiers claim Bergdahl deserted his post and at least six soldiers were killed searching for him. Defense Secretary calls it "unfair" to make presumptions about why Bergdahl left his base and said the Army is investigating the incident. Meanwhile Bergdahl's hometown newspaper in Hailey, Idaho expressed anger that Bergdahl's release had become politicized. 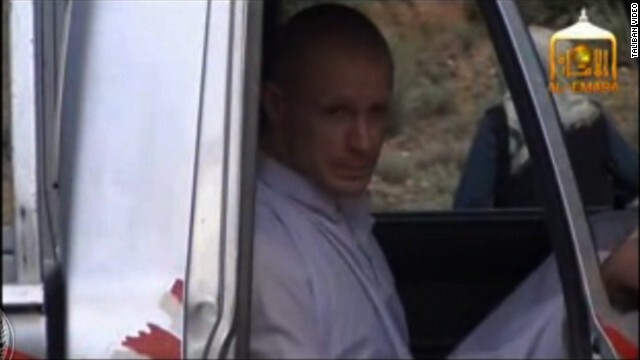 "The politicians, military experts and critics should stop their shameful bleating and let our nation, our local community and Bergdahl's family enjoy the return of our lost soldier," the Idaho Mountain Express said Wednesday in an editorial. "Five years of captivity is enough. Bring him home. Leave him alone, and let him heal." 5. Mississippi primary. The Tea Party may be on the verge of a heavyweight knockout. Mississippi's six-term Republican Sen. Thad Cochran has been forced into a runoff by state GOP Sen. Chris McDaniel, which means three more weeks of a nasty campaign. McDaniel says he expects to win the June 24 contest. "I promise you this, whether it's tomorrow or whether it's three weeks from tonight, we will stand victorious in this race," McDaniel told supporters. But backers of the 76-year-old Cochran says the veteran is ready for the fight and will prevail.